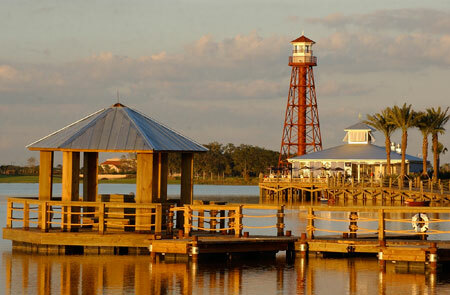 While you’re taking in the sights of Ocala and Orlando, think about also visiting the Lake Sumter Landing town center. Nearly a hundred locations of various stores, outlets, and restaurants line the massive layout, ensuring that you’ll be supplied with everything your heart could possibly desire. Are you a fashion expert? Dress in the latest trends by visiting clothing and accessory stores like Vanheusen, Lucky Charm, Izod, and the Bear Dance Boutique. You’ll easy find any style for any occasion, from a classy night out on the town to a private party to a relaxing day on the golf course. And while you’re shopping you’ll obviously work up an appetite. Fill you tummy with the best food this side of the Mississippi! Chain restaurants like Panera Bread and Johnny Rockets are surefire crowd-pleasers. Stop by the Lighthouse Point Bar & Grille to find your way through a sea of delicious appetizers! Furnish your accommodations with the amazing and stylish offerings from Southern Lifestyles, Ambrosia on the Square, and more! The Lake Sumter Landing town center has everything you need for daily living, and then some! After all, why retire to The Villages if you can’t have some fun and splurge a little, right? Visit the Old Mill Playhouse with a group of friends, or make some while you’re there. Check out Victoria’s Estate Jewelry to pick up something sparkly for that special lady in your life. Treat yourself to the Tuscan Day Spa & Salon – you’ve earned it! Enjoy the Golden Years of your life and never worry about having to go far for all the goods and services you’ll ever need. With the Lake Sumter Landing town center and all the facilities it has to offer so readily available, you’ll wonder why you didn’t start visiting there sooner! Enjoy the view from the Waterfront Inn, take a stroll down Lakeshore Drive, or just relax and enjoy the pleasant atmosphere. However you choose to visit the Lake Sumter Landing town center, you will not be disappointed.